The Incidents module serves as your documentation pool for all incidents and near misses that occurred on board. You can document, categorise and define the point of occurrence for all events on board of your vessels. Additional to the capturing of incidents, with the documentation of near misses and their causes, you create a valuable knowledge base for your company, enabling you to prevent future incidents. Incidents and near misses are entered into the module on board easily and defined whether corrective or preventive actions need to be initiated. Information that is maintained on board is available for your employees in the office immediately after the synchronisation. Defined KPIs enable you to monitor your performance consistently and to detect where demand for action is needed. 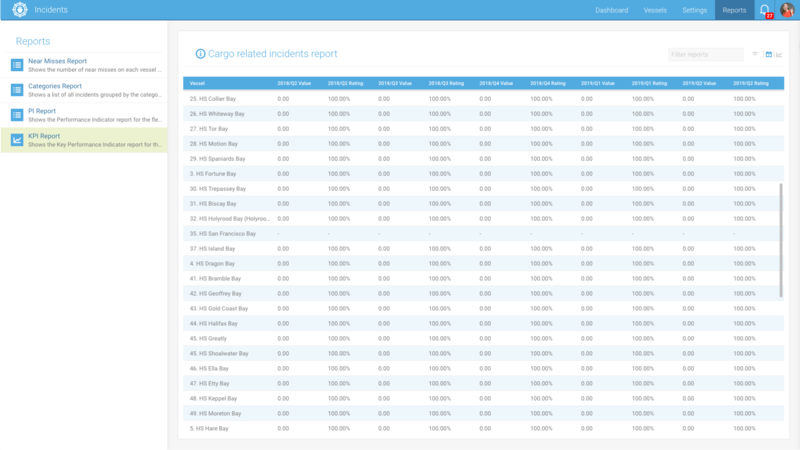 A variety of reports evaluate the collected data and list i. a. near misses in tabular form and display them categorised by vessels. 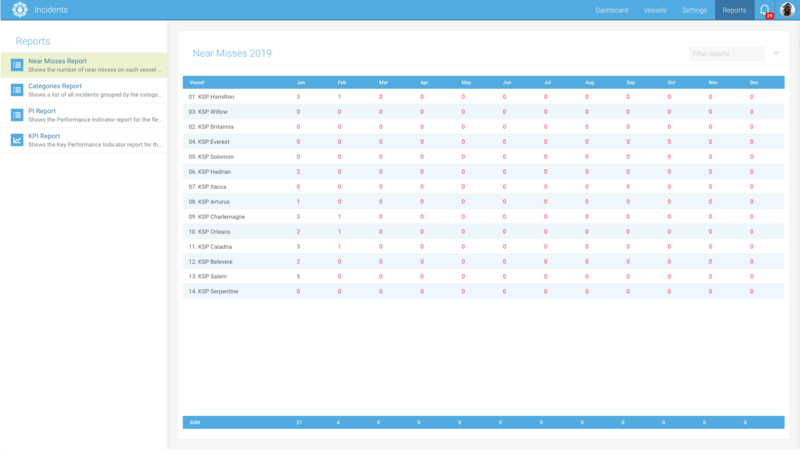 I. a. near misses are listed in tabular form and analysed categorised by vessels. On board captured data is fully-automatically synchronised with the office. Due to the documentation, you keep track of the whole progress of processes. KPIs help to draw comparisons and to initiate improvements. 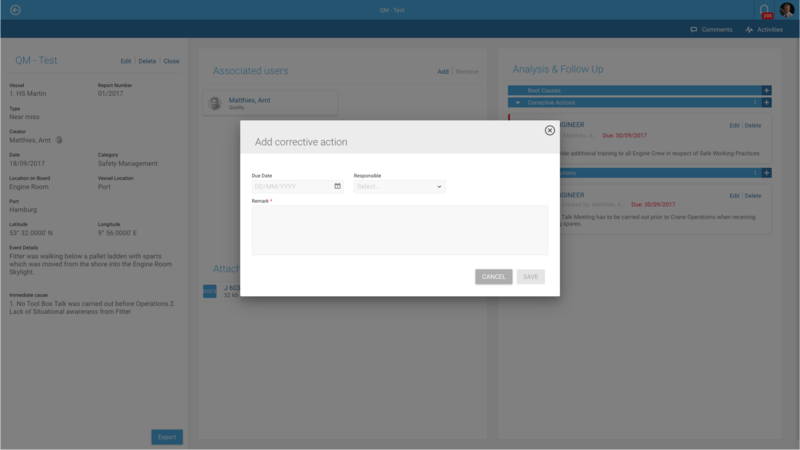 Curious to learn more about Incidents?